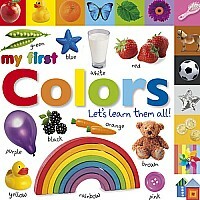 Home Shop Online Books, Movies & Videos My First Colors: Let's Learn Them All! 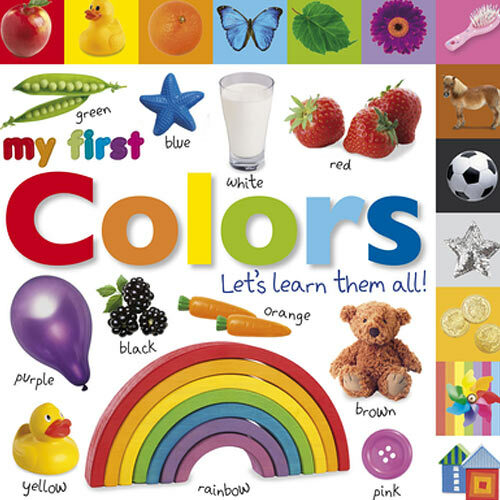 Let's learn about colors with this great My First book! Featuring bright, bold pages covering all the colors of the rainbow, along with an "I-spy" colors, shapes, and patterns spread, this book features special picture tabs that lets kids turn right to the pages they love!